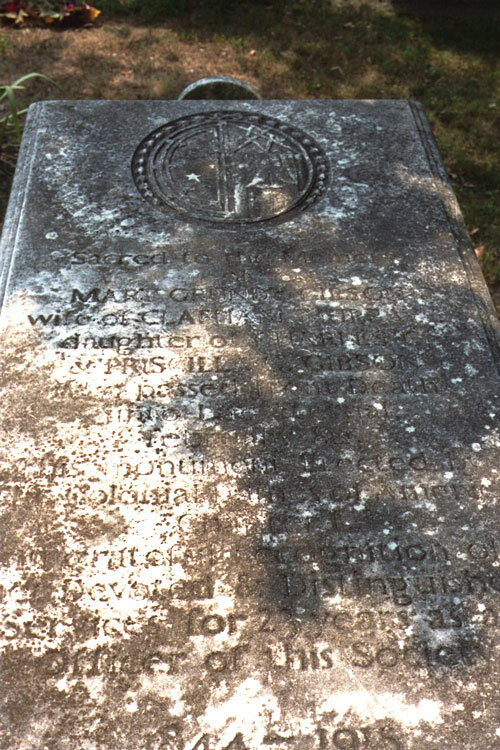 The stone reads: "Sacred to the memory of Mary Grundy Gibson, wife of Clapham Murray and daughter of Charles C and Priscilla C. Gibson died Feb. 8 . . . This monument erected by the Colonial Dames of America, Chapter I in grateful recognition of her devoted and distinguished services for 23 years as an officer of this society. 1844-1915."